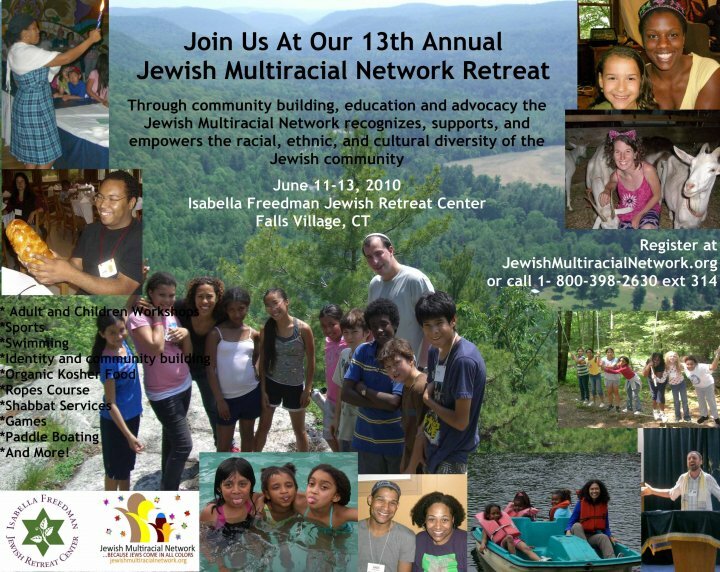 This year’s annual Jewish Multiracial Network (JMN) retreat at the Isabella Freedman Jewish Retreat Center in Falls Village, CT. was fantastic!! There was a palpable joy in the air. New participants and habitual attendees combined to make the Jewish Multiracial Network’s Bar Mitzvah year one to remember. See Photos! 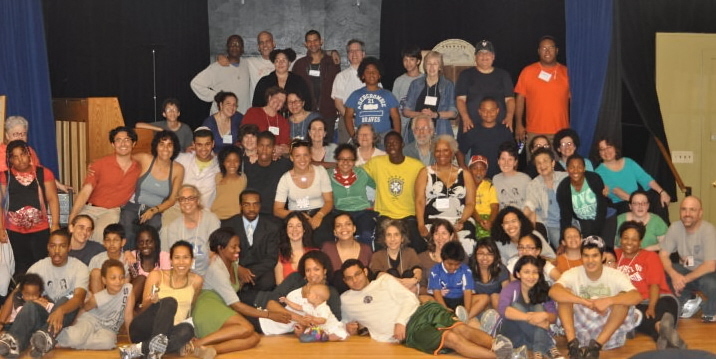 The Mission of the Jewish Multiracial Network (JMN) is to build a community of Jews of color and multiracial Jewish families for mutual support, learning, and empowerment. 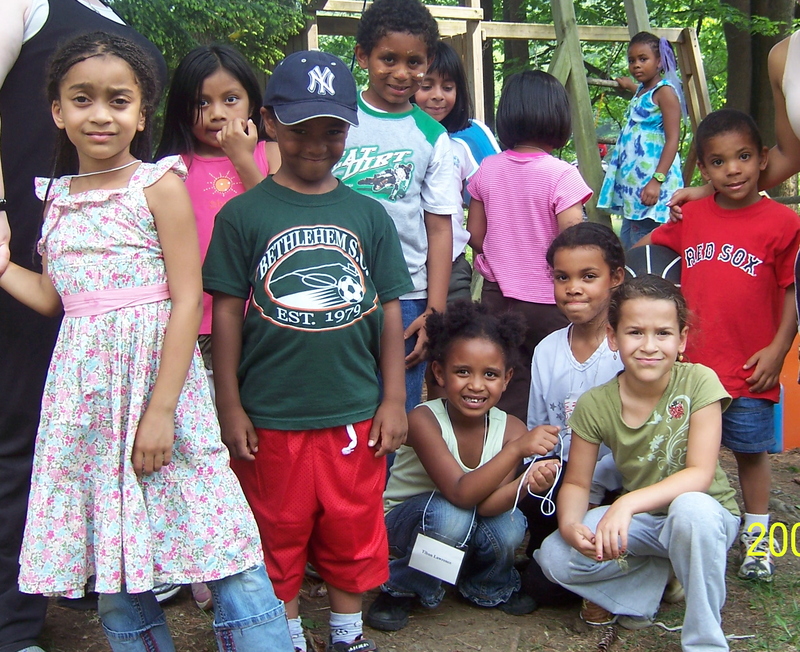 Through education and advocacy, JMN seeks to enrich Jewish communal life by incorporating our diverse racial and ethnic heritages. 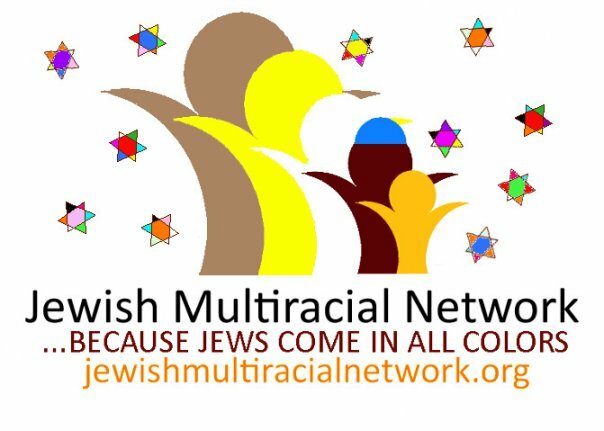 The Jewish Multiracial Network brings Jewish multiracial families and individuals together to learn about and celebrate their Judaism. JMN is committed to diversity and inclusive community-building, and seeks to help it’s members strengthen their identities as Jews and members of other ethnic groups. JMN creates opportunities for learning, nurturing and support for a large and growing part of the Jewish community that often feels marginalized by mainstream Jewish organizations. You are invited to become a part of this developing national Jewish multiracial network. Click HERE! 15,000 Black African Jews, who trace their 3,000 year history to the time of Israel’s King Solomon, were flown from Ethiopia to Israel in 36 hours in May 1991. Spanish & Portuguese “Crypto” (secret) Jews arrived in New Mexico some 500 years ago, fleeing the Spanish Inquisition. Their descendants still recite Shabbat blessings in Ladino (archaic Spanish). In India, the Bene Israel community—their ancestors arrived there 2,000 years ago—are called “Shanwar Telis” (Saturday Oil Pressers) as they refrain from work on the Shabbat. Join dozens of other Jewish multiracial families and Jews of Color of all ages for an inclusive Shabbat experience that will celebrate the diversity of our community. The weekend includes exciting adult discussions and workshops, youth and teen programming, childcare, multi-generational family programming and time to relax and enjoy all that the Isabella Freedman Jewish Retreat Center and JMN have to offer. I am not discriminated against in the aliyah process as a Jew of my particular ethnicity. Text not copyrighted. 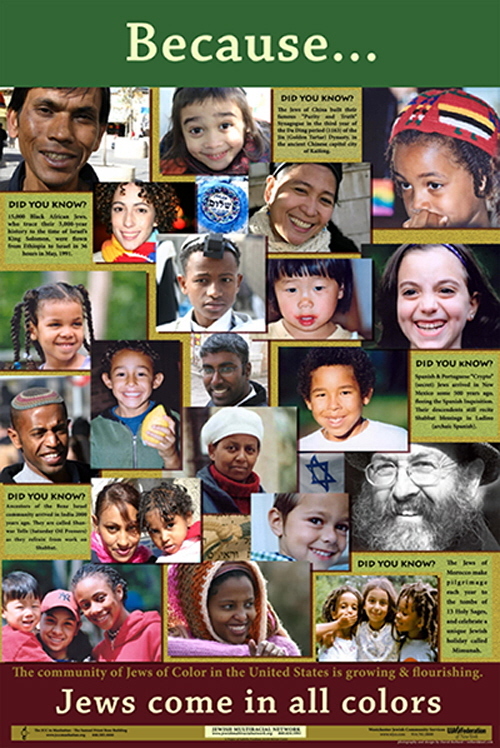 Developed for educational purposes by the Jewish Multiracial Network, 2006–2009. Please distribute and add to the checklist.